The wine critic Robert Parker is either loved or loathed—there ain’t no in between. His 100 point rating system for wine is ridiculed by many of his fellow wine critics, who charge that one cannot ‘rate’ wine with such exactitude, as if the ineffable beauty of an Ornellaia could be likened to the result on a mathematics exam. It’s a 98–no, a 99! Parker is also known to favor big, overripe, jammy wines—to the detriment, many believe, of class and restraint. But most people except diehard Mayfair snobs concede he possesses an extraordinary ability to remember wine signatures. ‘Ah, yes, the 1982 Haut Brion. It has taken on a brick-red hue since the last time I drank it, ten years ago.’ Tales abound of Parker’s ability to identify wines in blind tastings, including wines he has not drunk in years. If Parker were an audio critic, he would probably favour big, not-so-subtle muscle amps. Unlike Parker, where my aural pleasure and oenophilic pleasure alike are concerned, I want it both ways: power and finesse please. Naim delivers those goods. 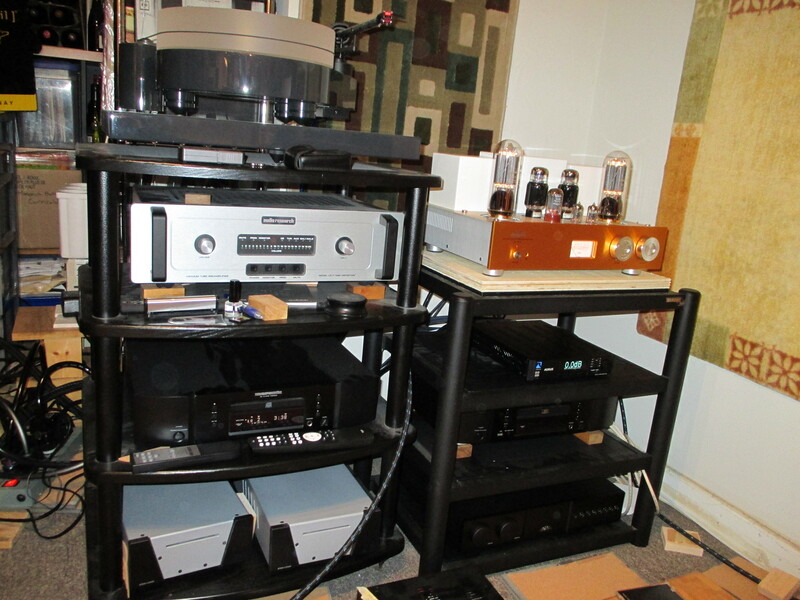 No matter the vintage, one need not possess a photographic aural memory to identify Naim’s house sound. 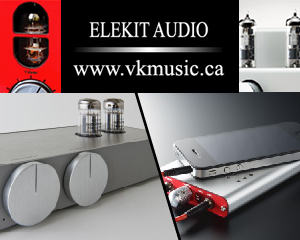 It is a style so distinct, most seasoned audiophiles could spot it immediately in a blind test. A product made twenty years ago will be as readily identifiable as a current one. My old 4-box Naim system. Resting on a DIY granite-cork isolation system. And, as chance would have it, the world’s very best $25 wine can be seen on the left: Wynn’s Coonawarra Estate Cabernet Sauvignon. A monumental wine, built to last but approachable after four to five years. The great critic Hugh Johnson has long lauded this wine, and rightly so. For almost three years I had a Naim system in my house. But four years ago, I left the Church of Naimies and went totally tubular—until, of course, I opened my mind, embraced polytheism, and added a Class A First Watt amp last year and a Class D Wyred4Sound to the mix this year. Among many others! 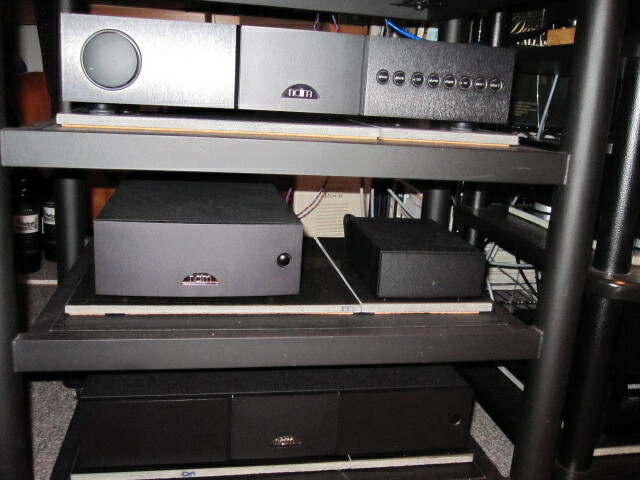 Naim Supernait 2 on bottom right rack. You can have it in any colour you like, as long as it’s black. My sadly departed Naim system consisted of four boxes: the NAC 202 preamp, the NAP 200 power amp, and two power supply units: the NAPSC and HiCap2. Four boxes, almost $10,000 MSRP. For thunderous rock music and classical, it was surely a world-class system. It excelled with SACD. It was dead quiet, it ran cold, and it drew very little power from the grid compared with my current 845 tube-based amp. The newish Supernait 2 sounds very similar to my old Naim system. But I think (emphasis on “think”, for these things are so subjective) that the new $5k Supernait 2 is much better than my old $10k system. If that’s indeed the case, then Naim might be cannibalizing its entry-level reference gear. Or, more likely, Naim will soon introduce replacements for the 200/202 line. This line was introduced well over a decade ago. In any case, the Naim Supernait 2 loses the DAC of the original Supernait but gains a bit more power and a lot more resolution. The amp is totally redesigned. With DAC technology changing so quickly, Naim probably realized that it could dispense with the digital and refocus its efforts on the analog stage. In other words, Naim chose to borrow from its top level, 500 series of pre-amplification. All inputs are decoupled and hand-wired for best microphonic isolation. The NAC 552’s constant current source circuit is employed. Discrete regulation for the preamp is used. A Class A preamp output stage doubles as a headphone out. The handy remote allows one to name inputs and adjust balance. All the usual power supply upgrades are available (HiCap, SuperCap). The result is that the Supernait 2 is, I think, far more detailed and quiet than a 200/202. Drums emerge from a pitch blackness, with a startling level of realism. It seems slightly warmer, which I like. But it also possesses more clarity. There is an underlying drive that is addictive. The Supernait 2’s bass is among the very best I have heard in my system. It is not quite as dry as the Wyred4Sound SX-1000 monos that I use with my Maggies, but it seems more powerful. There is less crunch, but more thrust. With Naim, transients are lightning fast. There is a visceral snap to the music. Like Nelly Furtado, it commands your attention when you walk into the room. 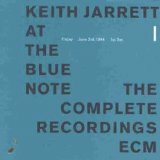 Listening to the Keith Jarrett Standards Trio through Naim gear is one of life’s joys. Jack DeJohnette’s drums will shake you out of your seat. There isn’t much warmth, but Naim is not, and never has been, bright or edgy. Most Naim gear of old was strictly Class B. The Supernait 2, however, has a Class A preamp output stage joined to its Class B power amp section. It runs cold and lives to a ripe old age. Have no fear of a handful of dust accumulating inside the chassis over the years. Naim gear needs no venting; it is sealed against the ravages of time. This amp, and the tried, true and tested technology underpinning it, will never be relegated to the dustbin of history. The people from Salisbury can stake a claim to the best customer service in the business. They can service everything they have made going back forty years (except a few old CD players whose transports are no longer made). The Supernait 2 is a detail freak’s dream. In this sense, I think it departs from the 200/202 line. There is less of a glow than I seem to recall. There is more bass and more speed. 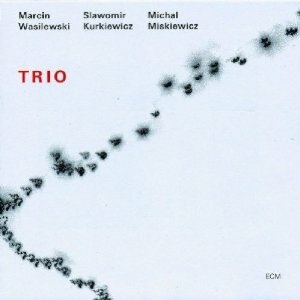 Tomas Stanko’s trio of ex-bandmates led by Marcin Wasilewski have put out three brilliant albums. Their first album, “Trio,” is 100% ECM sound. Romantic, reverberant, somewhat predictable, perhaps. The Supernait 2 does not smear passages ever so slightly the way my old 200/202 combo (and most other amps) did. This is probably because the Supernait 2 borrows from the 500 line of preamps. Yes, this $5150 USD box borrows more than a few genes from its $30,000 cousin. The result is more quiet between the notes. 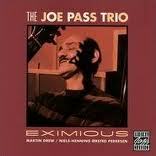 On the Joe Pass Trio’s “Eximious” CD, Niels-Henning Ørsted Pedersen’s double-bass is lightning fast and crisp and clean, no caffeine. With the dial at just 7, there is a satisfying level of bass. This was at once the Supernait 2 and the Resonessence Labs Mirus DAC (under review) speaking. Pass’ guitar had just a touch of warmth (nothing compared with my Line Magnetic 518ia) and the noise floor was next to nil. Martin Drew’s brush strokes were placed deep in the back of the soundstage. 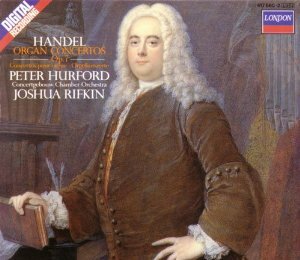 Strings on the Peter Hurford/Joshua Rifkin/Concertgebouw Chamber Orchestra’s recording of Handel’s Organ Concerti were ravishing. Not too strident, just right. The organ on the playful Organ Concerto Op.4 No.6 in B flat major was airy, throaty, raspy, as it should be in this key. The Concertgebouw’s ambience is captured perfectly in this brilliant Decca recording from 1986. Is there a more toe-tapping tune in the rock pantheon than “Sultans of Swing”? If so I’m not aware of it. Listen to this classic Dire Straits tune and see how long you can resist the temptation. The Supernait 2 is the Usain Bolt of amplifiers. But it’s the little stops and starts–the quarterback Johnny Manziel-like turning on a dime–that distinguishes Naim gear from regular solid state amps. It’s the silence between the notes. The lack of smearing. The utter clarity. David Zinman is not everyone’s cup of tea. 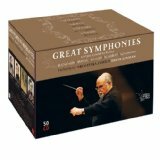 I love his Tonhalle recordings because, as he himself claims, the small cast and small venue means that Beethoven’s bombast gets checked at the door. But Zinman can delight as he throws a fastball into the mix now and again. The 2nd Movement of Beethoven’s 7th had me tapping my toes and rocking my head–sans cheveux— up and down like these fellows below. Where are they now? They’re still touring! They wanted to be somebody, be somebody soon. Thirty-two years later, they’re still trying. 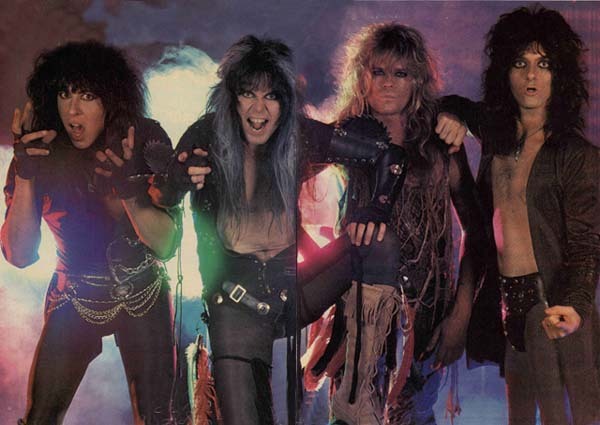 Blackie Lawless and the group W.A.S.P. 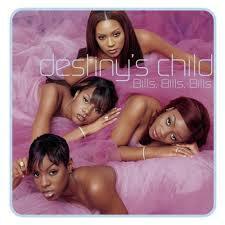 The electronic enhancements of “Bills, Bills, Bills,” by Destiny’s Child (is it traditional Texan synthesized dulcimer hammer?) are spellbinding. Fans of electronica and bass-heavy dance music will love this amp. It boogies. It has so much more power than its 80 watt rating suggests. The toroid is rated at 400 VA, the same as my departed Odyssey Audio Khartago, but it seems much larger than a typical toroid of such a rating. This amp can probably drive anything except panel speakers through the roof. So is it worth it? Does an 80 watt amp merit $5150 USD? I don’t think David Zinman could handle this…. Without a doubt. First, you are getting 80 crisp and clean watts with ample current and drive. You are getting world-class pace, rhythm and timing. You are getting an ultra-quiet world-class preamp. And a world-class headphone amp. All in one box. And it will last 25 to 40 years. Yes, the Supernait 2 comes with a headphone output. I plugged in the Grado GS1000i, the HiFiMan HE-400, and the Beyerdynamic DT 800 and 770. You are getting a $1000 to $1500 headphone amp not unlike a Burson thrown in to this mix. Highly recommended, especially for those looking for a one-box solution to their amplification. For most people this is all the amplifier they will ever need. Thank you for the review. Very good one. How would you compare the sound this amplifier against the Yaqin MC-13S? I know the Naim has more features like remote control and the Yaqin is a valve amplifier; thats why I am asking only about the differences in sound. What would you say about this comparison?